Havana has a lot of museums with all kinds of themes and exhibitions. Some are motor interesting and worth a visit than other, some are hidden and others are just a must see on your trip to Havana. One of them is the museum Bellas Artes. If you are into art you should not miss it. 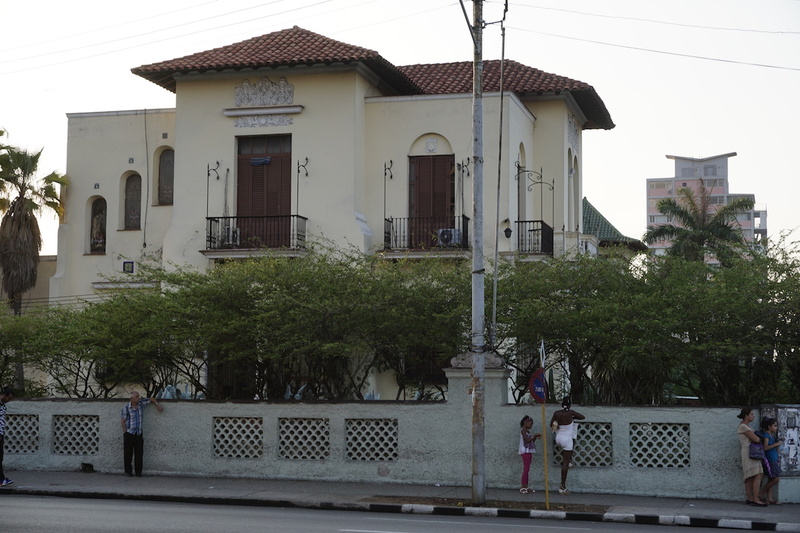 The museum is art museum that has a Cuban and an international part with different exhibitions. The Cuban section takes you on a journey through Cuban Art from the colonial times until now. It divides up into four sections: Art from the Colonial Period (16th to 19th century), Art from the turn of the Century (1894-1927) , Modern Art section and the Contemporary Art section which is mainly dedicated to the 1960’s. The pieces are selected very well and the museum is to spend almost a day if you take a reasonable time in the different sections. The pieces also help to understand Cuban history and society during the centuries. The building itself is quite interesting and it also has a small theater where different artists make concerts, especially on weekends. Most of them are jazz artists but you can find electronic or pop music as well. The entrance costs 5 CUC for tourist and 5 CUP for Cubans and residents. There is also the possibility to take a guided tour through the museums and let the staff explain the exhibitions and permanent collections to you. 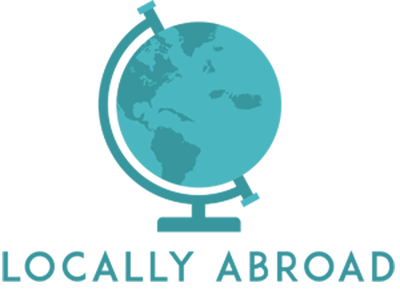 There are a lot of hidden treasures and antiques in the city and while you are there you should include a stop in one vintage store in Havana. There are a lot of unique places to discover in Cuba’s capital. Sometimes there are a little bit hidden. You can find the best restaurants in apartment buildings, shops in streets where you would never expect them and cafés and bars in patios of private homes. Usually, those are the best places to discover like this particular vintage store in Havana. One example is the Garage in the neighborhood Vedado. This place is like a mixture of a museum, an antique shop, and a souvenir store. In the garage of a private home, José from Spain opened this weird place. It is all about vintage and old but gold stuff. He collects items from the 50s and older, sometimes he repairs them, so they can be used to decorate homes and restaurants. He is living in Cuba for over 15 years and changed from a corporate career to what he really loves. Also, he just bought a bigger place to expand the vintage store in Havana and add a more social feeling. It is totally worth stopping by just to have a chat with him since he has some great stories to tell. The Garage is a place where you can find anything. José sells baseballs from the 1940s signed by teams, that no longer exist, shoes, movie posters, toys, jewelry or Barcadi signs with wholes of gunshots. Just to see the items it is worth a visit and maybe you find an exceptional piece to take home. You can find the garage in: Calle 19 e/26 y 28 Vedado. While you are close by, stop at the café/bookstore/oasis Cuba Libro. It is just one corner away and offers a truly unique atmosphere, amazing coffee, and the talented American Author Conor Gorry. She has her own take on Havana and life in Cuba. 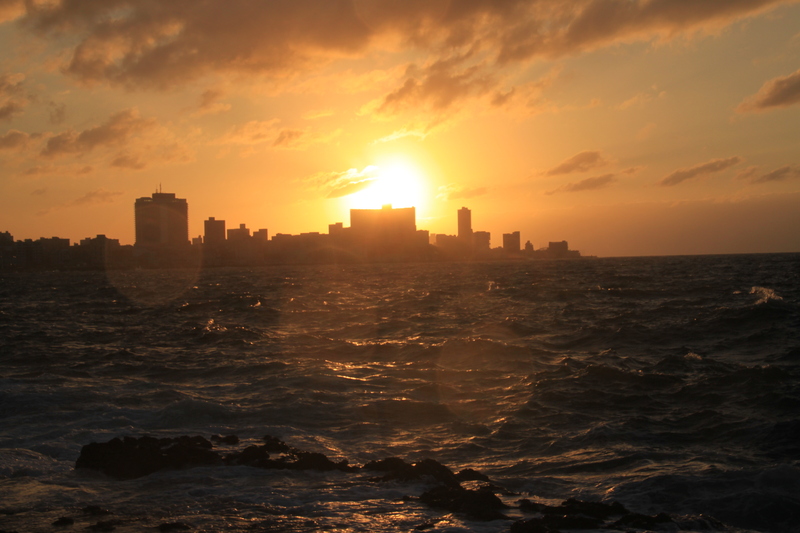 In Havana, you can see spectacular sunsets. And experience the pink light that puts the city and everything in a warmer light. 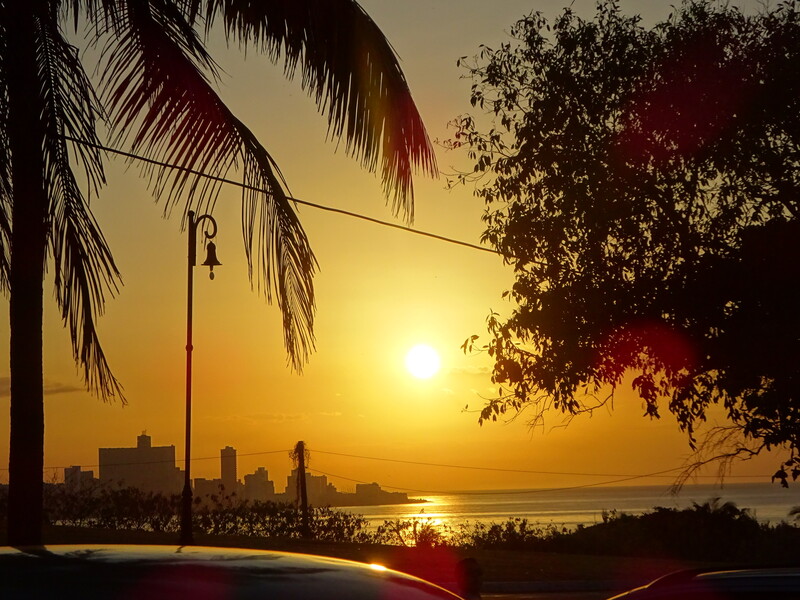 That is the moment when you should head to one of the spots to watch an impressive sunset in Havana and make your friends at home jealous with your pictures. At the fortes La Punta, where the Malecon starts, this is where you get pictures like this. Also, it has a nice atmosphere during that time, especially on weekends. You can meet a lot of people fishing, taking a bath in the sea or watching the sundown like you. With a hight of 121 meters, the Focsa is not only the highest building in Havana but the highest building in whole Cuba. The green building in the Vedado neighborhood is full of private apartments but has a Restaurant and a Bar on the last floor. I don’t recommend the restaurant so much, but from the bar, you also get a spectacular view and you can enjoy a Daiquiri or mojito with it. The Focsa is located in 17 and L.
This is still a little secret. The restaurant is a former penthouse in an apartment building, so don’t be shy and take the elevator to the 6th floor and have a seat on the terrace. They offer great food and drinks and as the place is still not popular you have the chance to be alone and get a private sundown experience. As it’s already in the name the address is 17 y K.
Havana has the second biggest Christ statue in Latin America, after the one in Rio. It’s located at the other side of the bay and can be reached by the ferry from Habana Vieja, or you take a walk from the fortresses Morro y Cabana. By the way, from there you can also get a great view of the city and the sundown. If you want you can stay there until 9 p.m to watch the traditional canon shoot, the Cañonazo. Not so much of a secret but still with a great view are rooftop terraces of hotels like the Ambos Mundos, Parque Central or Saratoga in Old Havana. I recommend the view from the Ambos Mundos especially if you like Hemingway that could be something for you. 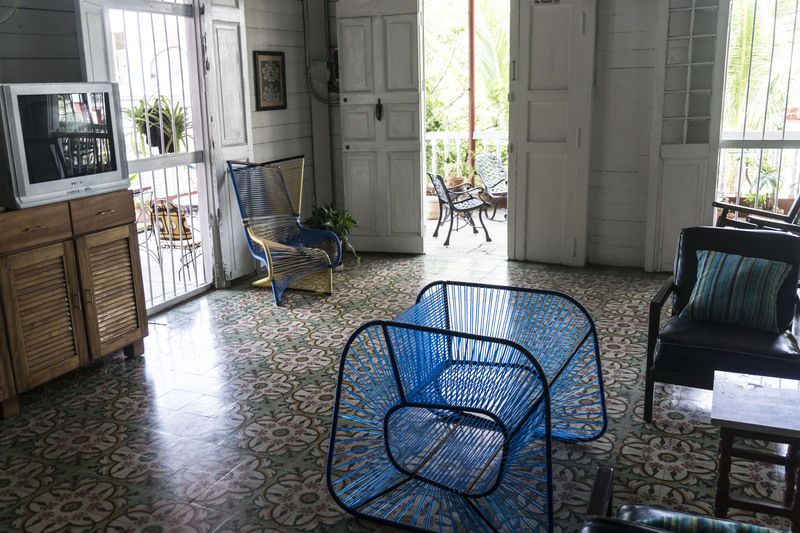 The hotel was the place where Hemingway stayed during his first times in Cuba. His room can still be visited.